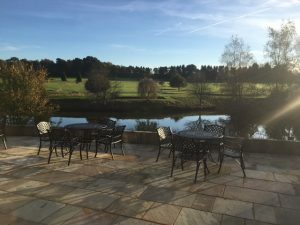 As South East caterers we do our best to know the most beautiful Venues here in Sussex inside and out. 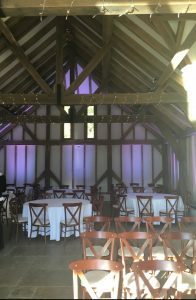 This week the Team at Anise visited the gorgeous Brookfield Barn in Horsham – which has been lovingly refurbished to make it an extremely attractive and sought after venue in the area. Having worked with the Barn since its refurbishment last year I can honestly say it has quickly become a favourite of ours! 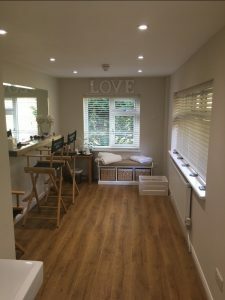 With stunning views of the surrounding grounds outside and a fresh and well executed build inside, staff and guests have been taking advantage of all it has to offer. Even visiting in November just take a look over the outside view of the lake and inside that beautifully finished bridal suite! continued contact with the venues mean that our services can coincide seamlessly to try and relieve some of the stress of planning for our couples. We will always ensure you are working with Event Managers that have been on-site at your chosen venue and have discussed the operational running of your special day with the owners. To find out more about our services at a local venue get in touch today.